At Hiring Drivers Now we provide the most up-to-date list of truck driver jobs available from companies hiring drivers right now! If you’re an experienced driver, or new to the industry looking to obtain your CDL, there is absolutely a job for you! View recent jobs below or use our search bar above to find truck driving jobs in your area. We want to make your job search easier. What type of jobs do we have? 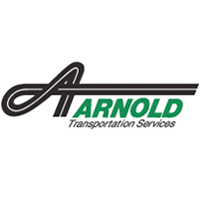 We have jobs for Company Drivers, Owner Operators, Students and Recent Grads. Pick your route: Local, Dedicated, Regional, or Over-the Road. Pick your haul type: Dry Van, Flatbed, Tanker & more. There is a job for any classification of driver. Not happy with your current driving job? Looking for a fresh start? We have a fit for you! Apply Now! Currently 53967 truck driver jobs available. OTR Dry Van Truck Driver Job in Excelsior Springs, MO Waller Truck Co.